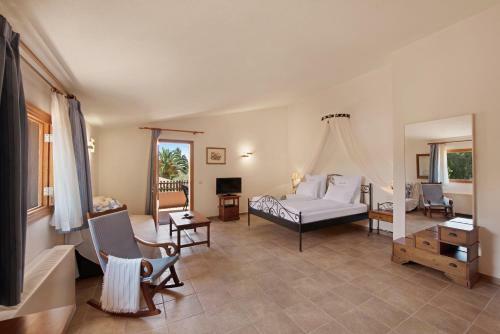 Ses Rotes Velles - Petit in Ses Salines is a small-scale hotel with 12 Rooms. 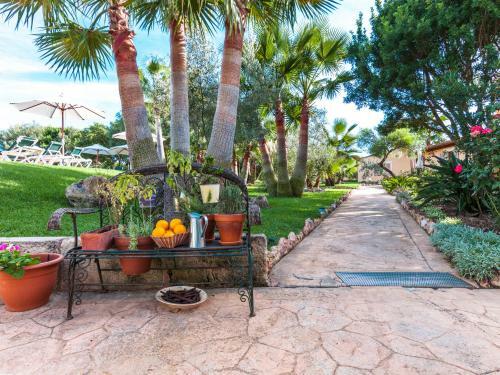 Ses Rotes Velles is a charming property in southern Mallorca, 2 km from Es Trenc Beach. It offers free Wi-Fi, and an outdoor pool with gardens and terrace. The unique rooms at Ses Rotes Velles - Petit Hotel come with a private terrace with a table and 2 chairs. All are spacious, with satellite TV and an en suite bathroom. Beach and pool towels are included. 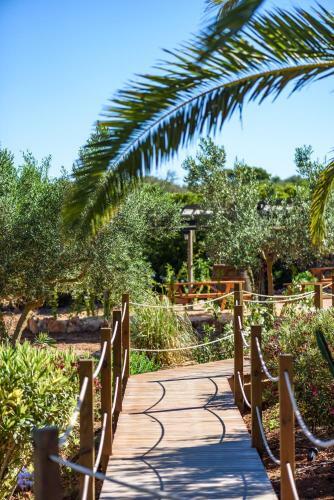 The restaurant serves Mallorcan and Mediterranean food with fresh products from the property’s vegetable garden. There is buffet breakfast i...n the morning. Meals can be enjoyed on the terrace in summer. Wines from Mallorca, La Rioja and Cataluña are available from the on-site cellar. 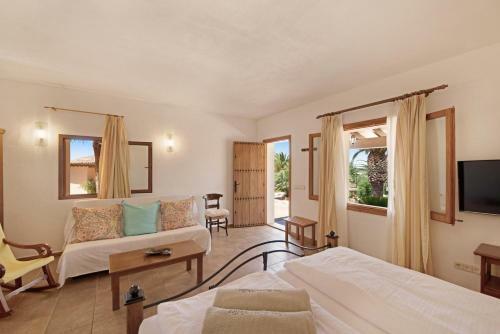 Ses Rotes Velles is only 5 km from the popular resort of Colonia de Sant Jordi. This is a seasonal hotel, open from March to November. 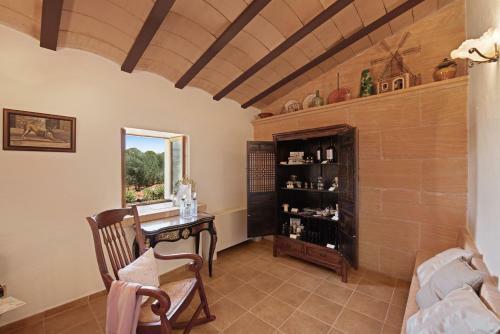 Ses Rotes Velles is a charming property in southern Mallorca, 2 km from Es Trenc Beach. It offers free Wi-Fi, and an outdoor pool with gardens and ter...race. The unique rooms at Ses Rotes Velles - Petit Hotel come with a private terrace with a table and 2 chairs. 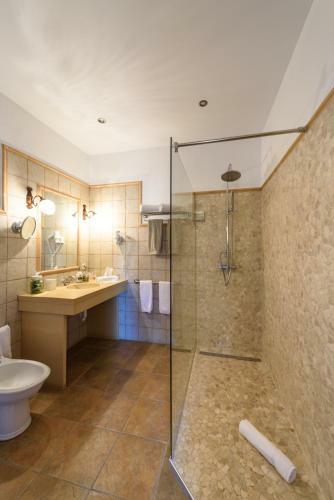 All are spacious, with satellite TV and an en suite bathroom. Beach and pool towels are included. The restaurant serves Mallorcan and Mediterranean food with fresh products from the property’s vegetable garden. There is buffet breakfast in the morning. Meals can be enjoyed on the terrace in summer. Wines from Mallorca, La Rioja and Cataluña are available from the on-site cellar. 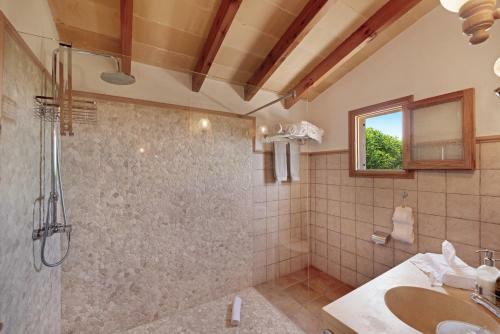 Ses Rotes Velles is only 5 km from the popular resort of Colonia de Sant Jordi. This is a seasonal hotel, open from March to November. When would you like to stay at Ses Rotes Velles - Petit Hotel? Children and extra beds All children under 2 years stay free of charge for children's cots/cribs. All children under 12 years are charged EUR 40 per person per night for extra beds. 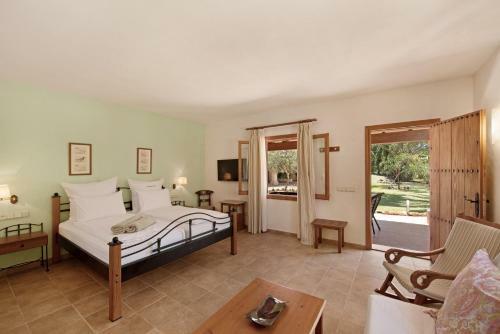 All older children or adults are charged EUR 60 per person per night for extra beds. All children under 3 years stay free of charge when using existing beds. All children from 3 to 12 years are charged EUR 40 per person per night when using existing beds. The maximum number of children's cots/cribs in a room is 1. The maximum number of extra beds in a room is 2. Supplements are not calculated automatically in the total costs and will have to be paid for separately when checking out. Any type of extra bed or child's cot/crib is upon request and needs to be confirmed by the innkeeper.